Who says newspapers are dead? I’m not one of those people who are ready to give up on the printed word. I still feel like newspapers are a vital part of any community…..they just need to change their delivery method and switch to a 24/7 news cycle instead of printing yesterday’s news and delivering it door-to-door. I bring this up because last night, I clicked on the Kalamazoo Gazette’s online paper and found something I never would have found on my own. Right on the front page was an article about a Mexican grocery store that started serving homemade ice cream. I showed it to J before she left for work and we made plans to go out when she got home. 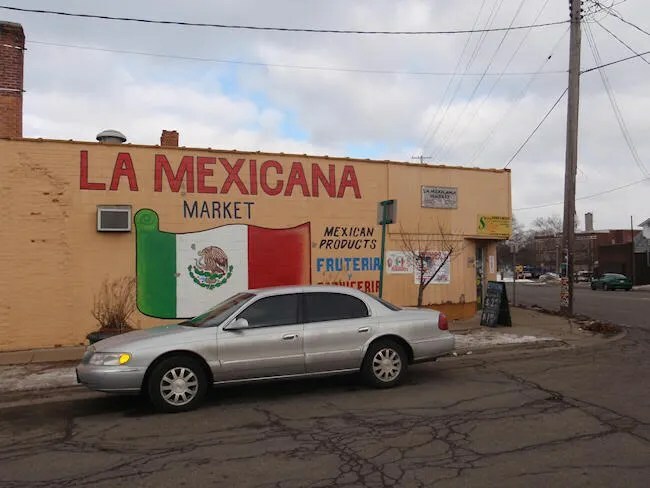 La Mexicana Market is in Kalamazoo’s Edison neighborhood at the corner of Portage and Bryant Streets. 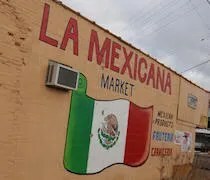 As the name implies, La Mexicana is a Mexican grocer, but it’s also a small restaurants and now, ice cream parlor. When you enter, you come right into the grocery part of the store. We blew right through this part at first, but I would go back to look for what seems to be a very hard to find ingredient. The next part of the building is the ice cream shop. 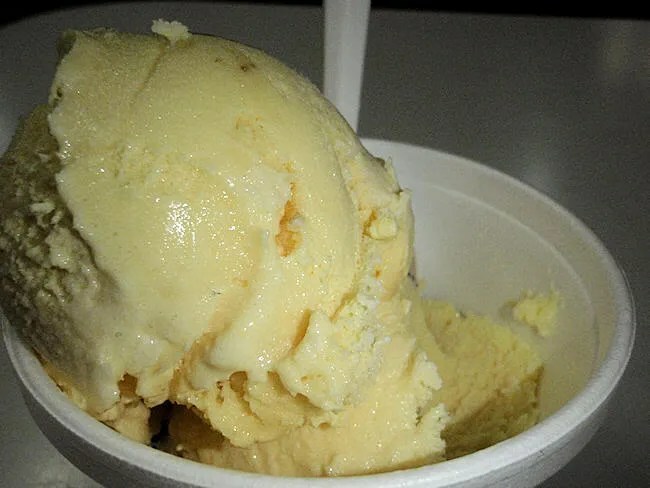 There is a pretty traditional ice cream case filled with their homemade creations. Again, we walked right through this area with the intention of going back. The back part of the building is the restaurant. 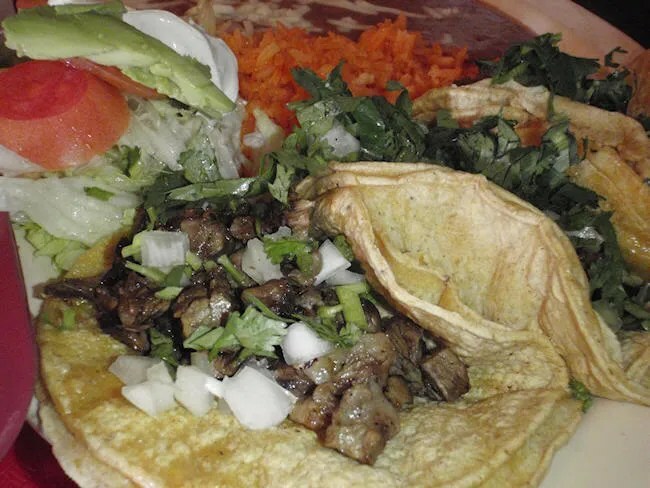 They don’t have a huge menu, but what they do have is authentic Mexican cooking. You order up front and all the meals are made to order. 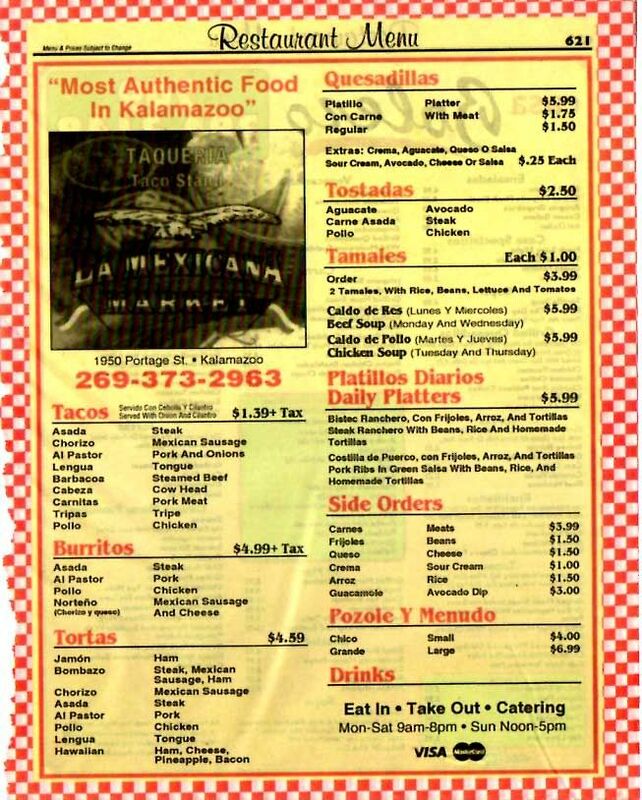 The menu is posted on the wall above the cash register. They only have six options, but they have the items you would expect. I went with the taco meal while J ordered a Chicken Torta. We added on a Pepsi and a Horchata to bring the bill to right around $15 bucks. The meat and tortilla’s were grilled on a flat top right behind the cash register. The side dishes are were already prepared and waiting in a buffet warmer in front of the grill. While we were waiting, J stepped back into the ice cream parlor to try a few flavors. Since we hadn’t eaten yet, she told the man helping her that she’d be back after we’d eaten. We chose to dine in, so our meals were put on a tray. I grabbed a Pepsi out of the cooler while the ice cream guy went to get J’s horchata. Unfortunately, they didn’t have any, so she got an egg nog instead. The dining room isn’t huge, but considering the building is a market first, they have a really great space. There were maybe a dozen solid, wood tables spread throughout the space. The TV right above us was turned to Univision and all the newspapers were in Spanish, so you know this is a place that the Mexican population in the area visits frequently. My taco plate came with three beef tacos, a small salad, Spanish rice and beans. All I really wanted off the plate was the tacos, but I didn’t see an à la carte option. The tacos were chunks of beef instead of ground beef. They were topped with cilantro and onions. No cheese which is somewhat disappointing. I would have loved a chihuahua or Oaxaca cheese instead of the onions, but these were still really good tacos. The tortillas were delicious and the meat had a great, almost smokey taste to it. J’s chicken torta was huge. The sandwich was wrapped in foil then cut in half to make it easier to eat. The chicken looked like a BBQ pulled chicken, but had more of a smokey flavor to it as well. In addition to the meat, the sandwich has tomatoes, lettuce, onions, sour cream, and fresh avocados. 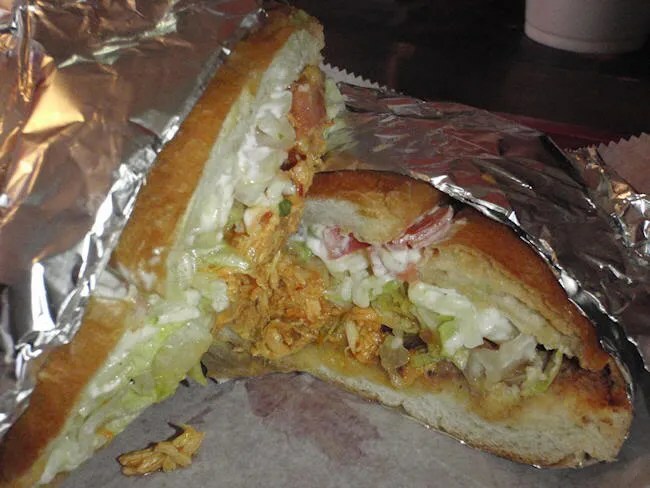 It served on a grilled bun called a telera that is made by La Azteca Bakery. She said the sandwich was really good and really filling. She was trying to be careful not to fill up too much on the torta because she still wanted ice cream. I wouldn’t have been a real big fan of all the accoutrements, but she pulled off some chicken for me which was delicious. After we finished up eating, we headed back to the ice cream shop. I wasn’t going to get anything, but J talked me in to just getting small bowl of the vanilla. The vanilla is not a plain vanilla however. It has raisins mixed in. I picked around the raisins and really enjoyed the ice cream. J ordered a bowl of guava to eat right away and a popsicle to take home for tomorrow. She wanted the popsicle that was featured in the Gazette article (fruit with cayenne pepper), but they didn’t have any of those. The flavors sort of rotate, so even though they make about 25 flavors, they don’t always have them all available. Instead, she asked the guy working what he would suggest and he just picked up one of the bars and said it was the best. 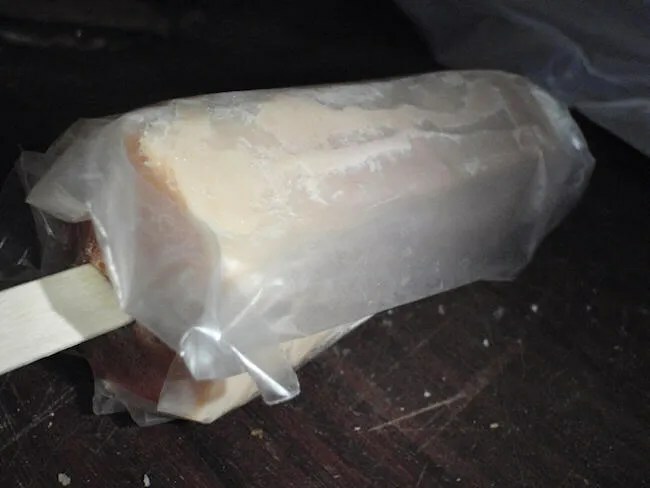 He didn’t say what it was and she didn’t ask, so tomorrow when she grabs it out of the freezer, she’ll have a mystery bar. As for the guava ice cream, she really liked it and is already making plans to go back for more. He also let us sample the corn flavor. As bad as that sounds as an ice cream flavor, it’s actually not bad. If you like corn more than I do, you might really like the flavor. The total for our ice cream was a little under eight bucks. One last stop after getting the ice cream was the market. 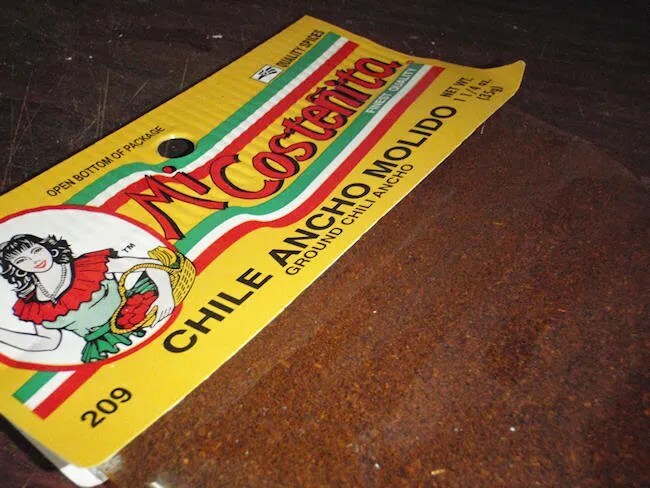 I use a lot of Ancho Chile powder when I cook. It’s a main ingredient in many of my dry rubs and sauces. The problem is, it is so hard to find in stores. I can find whole chile’s that I can grind at home, but my spice grinder stopped working and I haven’t got it fixed or bought a new one. I would much rather find it already ground, but there was only one place I have ever found it and that was back in Illinois when we lived there. La Mexicana Market had it, so I picked up a couple bags and now know where I can go when I run out. La Mexicana Market has it all. You can eat, get ice cream, and shop all in one place. We weren’t disappointed with any aspect of the place and will be back for more. Pay attention…:) I bitched about that all the time when we were in Lansing….I checked almost every Mexican market in town and couldn’t find it in powder form anywhere.